Now Cramo intends to optimise the equipment at its customers’ work sites using NB-IoT. There is a whole new ecosystem under development that saves both time and money. “We could, for example, tell the customer that a certain site has ten drills and that the data shows only four are used at any given time. 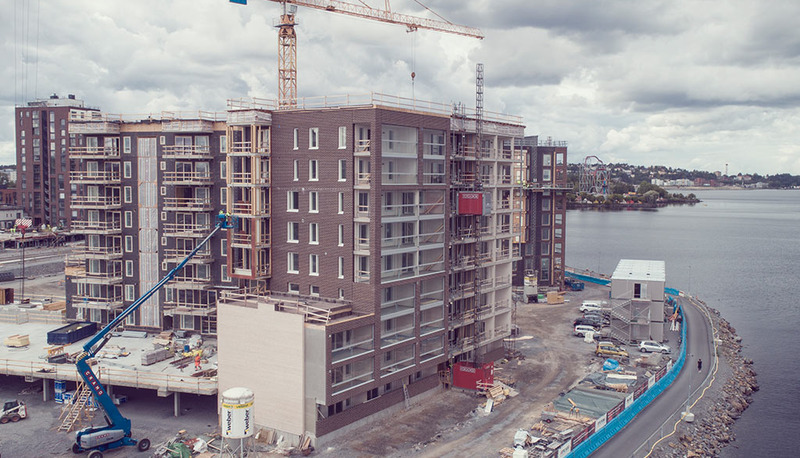 It would be sensible to remove five and we would still have one spare unit,” says Jani Kilkka, head of development at Cramo. “We want to supply material for the customer’s needs. This is, we do not want the customer to be the one ordering for their needs.” Cramo’s goal is that NB-IoT data will allow the customer to know what quantities of equipment and machines they will need. Kilkka says that this information would be very valuable also when it comes to device maintenance. It would also be possible to replace the equipment according use instead of following a calendar. It would no longer be necessary to assume that a machine has worn down in a few years to the extent that it needs to be replaced. “One device may be completely at the end of its useful life in three years while another might not have been used at all. It would be pointless to replace both,” Kilkka explains. Finding devices and equipment at a worksite is a perpetual problem for site supervisors. Thanks to the new technology, this work can be eliminated, saving time for more important matters. Not to mention the cost savings. “If you can save two hours daily spent looking for a device, it means approximately 80 euros a day in savings. Multiply that by 20 working days, and the monthly total is already 1,600 euros. As a bonus, the work is started two hours earlier when you no longer need to be looking for the tools around the site,” Kilkka states. Sometimes rented equipment is also stolen from the site. If the site supervisor does not know about this, the worst case scenario is that rent is paid on the equipment until the completion of the work. With a site of two years, this means that the price of the stolen item has been paid twice. Cramo is one of the largest rental companies in Europe, specialising in renting equipment and machinery, related services and rental of portable premises. The company operates out of approximately 300 offices in 12 countries. Cramo employs some 2,500 people. The group’s turnover was €729.5 million in 2017. Cramo is listed at Nasdaq Helsinki Oy. In a few years, two out of three sensors will make use of NB-IoT. Pilot projects are easy to start, and you will get results quickly.